Got questions? We’ve got the answers! All costs are included in the rent. This includes electric, heat, air conditioning, water/sewer, trash removal, and BASIC TV CABLE & HIGH SPEED INTERNET! I am a student. Will my financial aid cover Hopson Flats housing charges? It depends on the type of financial aid you have. We suggest you contact your college’s financial aid specialist to get specifics. Definitely. Should you have flatmates already lined up, entire flat leases are available. 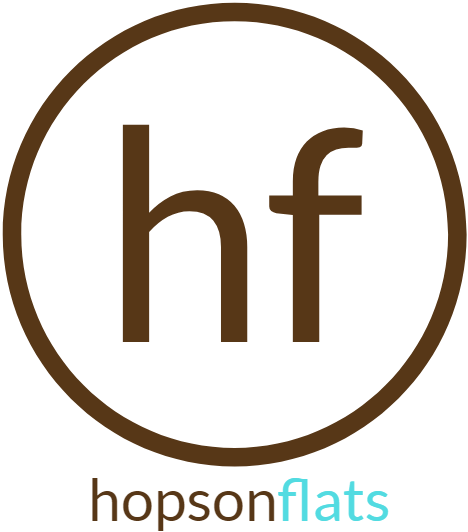 Hopson Flats offers 2-, 3- and 4-person apartments. You and your flatmates can also contract an apartment by bedroom, rather than per flat unit. This means that you’re only responsible for paying for yourself—not your flatmates. Even if one of your flatmates moves out, you’ll never have to pay housing charges for anyone but yourself. What if I need a flatmate? We’ll be happy to direct you toward resources where you can find other people to share your flat. Yes, pets are welcome! You can have up to two pets for an additional fee and an additional per pet per month charge. No aggressive breed dogs allowed. Pets are subject to approval. What is the term of my lease? Leases run for 12 months. Parking is available in the city lot located behind the building. Access to the lot is available on a monthly basis. Please contact us for details. There is additional parking a block away (Market Lot), as well as street parking.